Over 60 years of research into Floatation Therapy has revealed the power of weightlessness, total stillness and soothing Epsom salt water at body temperature to act together as a healing force. Floating is one of the best methods for achieving deep mental relaxation and physical relief because it induces a neutral state for your mind and body, allowing them to rest, recover and rejuvenate. The benefits of float therapy have been touted by everyone including professional athletes, physical therapists, psychiatrists, pregnant women, and the nonstop parent and professional. The buoyancy and healing effects created by the dense Epsom salt solution removes the feeling of gravity on the body, relieving all pressure and stress that gravity normally places on one’s muscles and joints, as well as aiding in pain relief. The reduction of environmental stimulation - such as sight, talk, interruption and noise - enables the mind to become tranquil and clear. 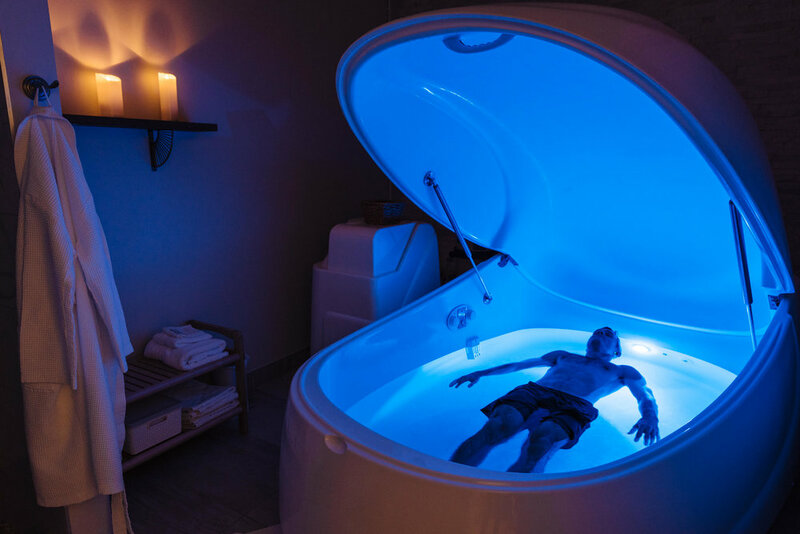 Our Float Pods, manufactured by industry leader Superior Float Tanks, feature the best filtration system possible, combining the most advanced technology in water circulation, UV sterilization and ozone injection systems. A meticulous cleaning regime is implemented after each float session and throughout the day to maintain a crystal clean environment and to provide the highest quality water available. Our Pods are the same ones used in the training centers for the New England Patriots, US Navy Seals, and elite float centers around the country. Pure Sweat + Float Studio offers two private float therapy rooms, each with en-suite shower. 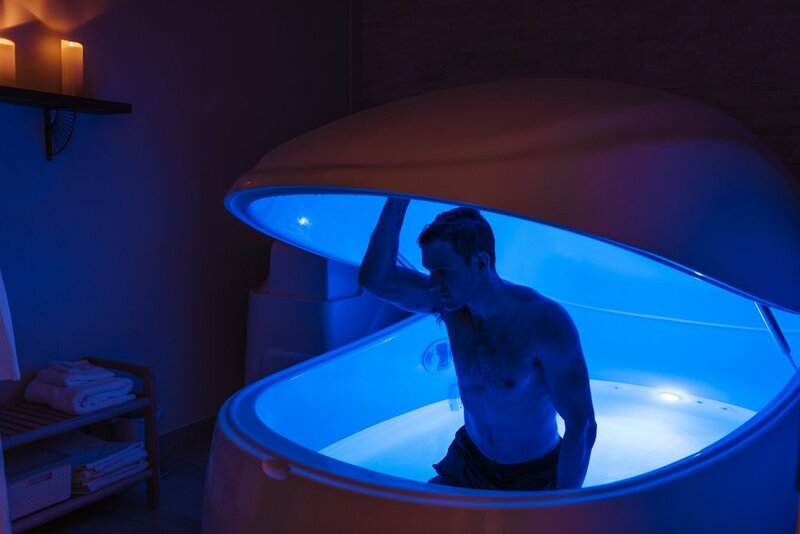 The contemporary Float Pods have customizable features to create your own ideal float environment, including ambient lighting, music options, and an adjustable lid that can remain open or closed. We provide all essential float needs. Each of our float suites come with towels, organic shampoo & conditioner, body soaps, ear plugs, vitamin a & d ointment and floatation head-rest. Just arrive, and we’ll take care of the rest.